County-by-county election results for the 2006 Congressional races. To license higher-resolution versions, contact the author. Hi-resolution poster (and T-shirt) versions will be available via Cafe Press in a few days. Check back here for a link. There is no data for 181 out of the more than 3000 counties in the US. I think these counties are mostly contained in districts in which the race was uncontested. These counties are colored according to state-wide data rather than county-wide data. District-by-district election results for the 2006 Congressional races. 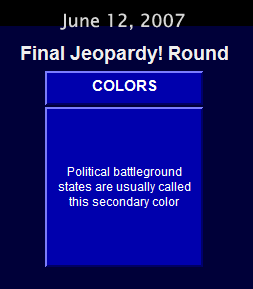 There were 34 uncontested races. Those districts are painted pure red or pure blue depending on the party of the incumbent. Same district-by-district map recolored to show margin of victory. Check out the changing colors of America (1960-2004). 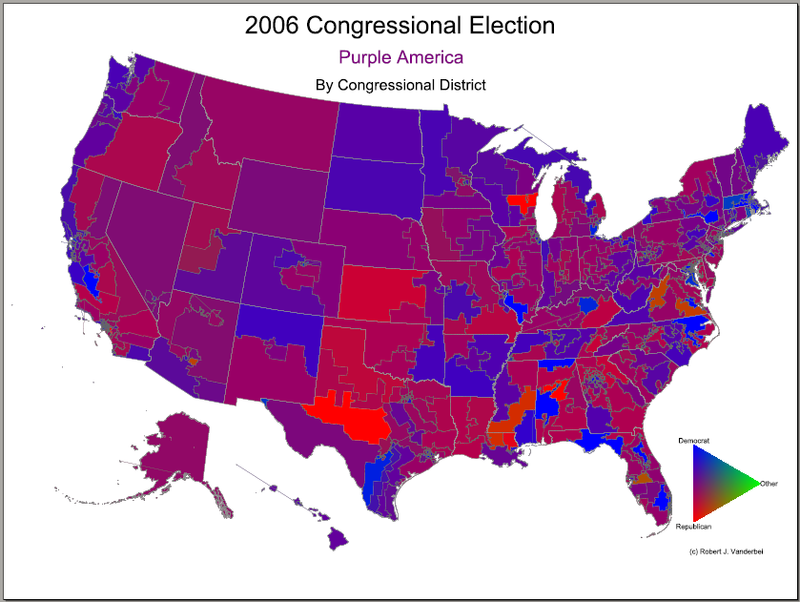 Click here for Election 2008 maps. 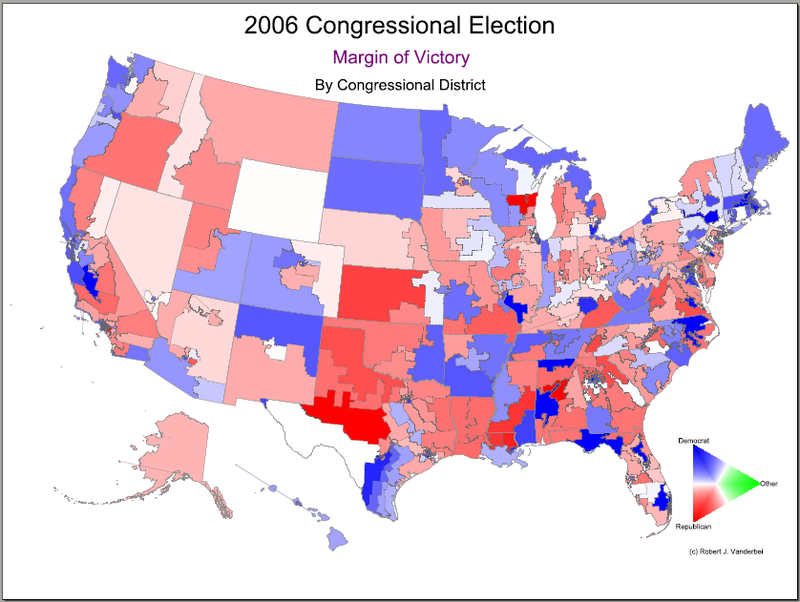 Click here for Election 2005 maps. 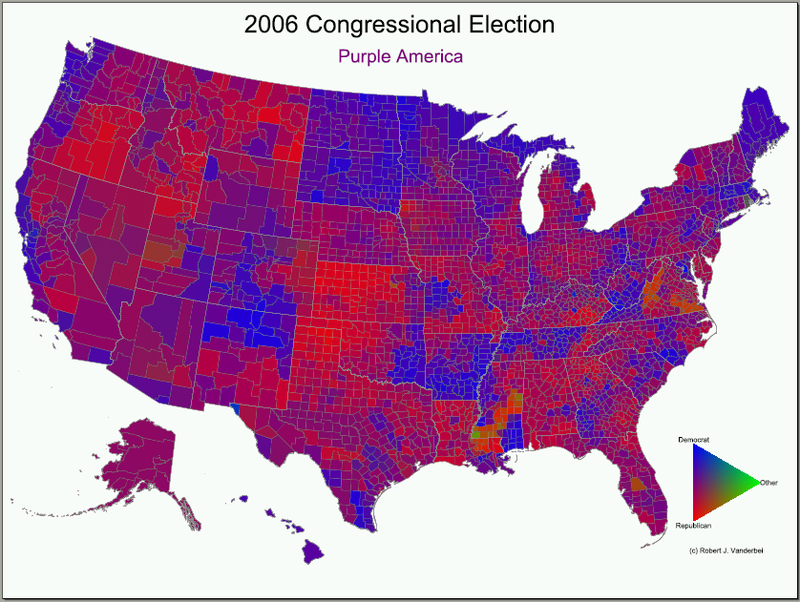 Click here for Election 2004 maps. 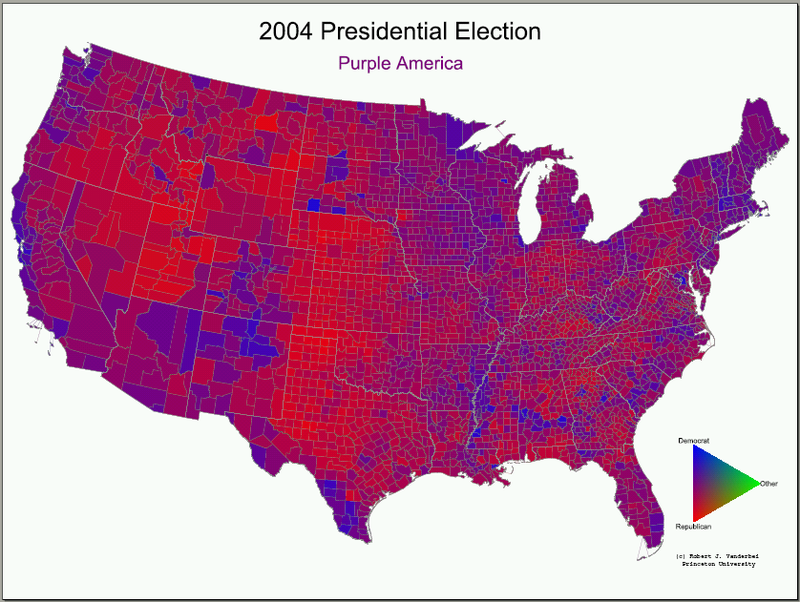 Click here for Election 2000 map. Creative Commons Attribution-ShareAlike 2.5 License.